When your infant or child needs to see a dentist, you need to work with a pediatric dentist you can trust. 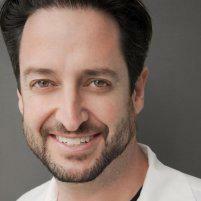 Dr. Jason Mirabile offers pediatric dentistry services at his practice iHateTheDentist.com in Santa Monica, California. He treats patients of all ages and takes extra steps to ensure your kids feel safe and comfortable so they never dread visiting the dentist. Call the office for your appointment or schedule your visit online. Why should my child see a pediatric dentist instead of a general dentist? Dentists who are trained to provide pediatric dentistry services know children have unique needs and require specialized treatment and care. Dr. Mirabile offers a range of kid-friendly services in a friendly and relaxing environment. Patients’ parents can even sit chairside while he is performing procedures, which can help a lot of younger patients who experience distress or anxiety at the dentist. What does your pediatric dentist offer? How often should we see a pediatric dentist? You receive a recommended treatment plan with scheduled visits on your first visit. In most cases, Dr. Mirabile recommends visiting the dentist for an exam and cleaning at least once every six months. This is enough time with the doctor to detect and prevent cavities, tooth decay, and other dental health issues. Dr. Mirabile recommends scheduling the first visit by your child’s first birthday so they can get used to being in the dentist’s chair and overcome any anxiety about visits. How do I choose a pediatric dentist? You need to work with a pediatric dentist who is truly dedicated to his or her patients and knows how to work with children. Since infants and children need extra attention and special care, your dentist must use the right approach when treating them. It’s a good idea to check the doctor’s credentials and also read testimonials from parents. What can I expect with your pediatric dentist? Dr. Mirabile does everything he can to ensure children at the practice receive the highest level of care and feel comfortable at all times. This is why he encourages parents to sit with their children chairside throughout their dental treatment. Dr. Mirabile also makes time to educate your kids about oral hygiene and answer any questions they have so they can develop good oral hygiene habits that last a lifetime.